For white water Stand Up Paddling the Bionic Paddle is just right. The fillet and bionic ribs ensure that the leaf surface is very stable despite its size and immediately transfers all its force to the water when immersed. 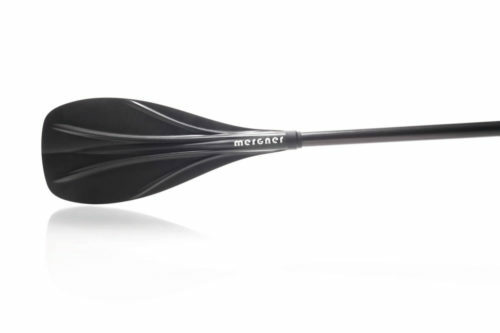 With the t-shaped polyamide and carbon handle you have the paddle very well under control. The stability of the Bionic paddle blade should also be emphasized. It is very abrasion resistant and does not delaminate.